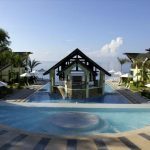 The province of Cebu has always been a famous destination for both local and foreign tourists. It comes as no surprise, for the province has several beautiful beaches you can easily reach from its namesake capital city. If you are staying in the Queen City of the South, here are eight accessible beach destinations great for either quick day trips or overnight jaunts. About three hours from Cebu City is Tingko Beach. Blessed with fine, white sands, a shore lined with coconut trees, and cool, clear, cerulean waters, this beach is incredibly photogenic. Swim, wade, sunbathe, or simply relax during your stay. It also doesn’t hurt that its location in the municipality of Alcoy is easy to get to by bus. From the South Bus Terminal, you may board one bound for Oslob. Alcoy will be along the way. Lambug Beach, a destination in Badian, has a long stretch of powdery white sands that open up to pristine blue waters. It’s the ideal place to unwind in because of its unhurried ambiance. Its soft shore is perfect for beach volleyball, frisbee, or good ol’ beach-bumming. 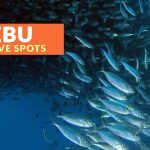 The trip to here takes around three hours from Cebu’s South Bus Terminal by bus, then about 10 to 15 minutes of habal-habal or tricycle ride. 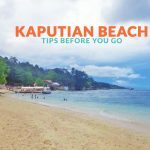 Tell the driver you’ll alight at the town proper of Badian or on the road towards the beach. The trip is shorter (depending on how many stops you take) if you take your own car or hire one. 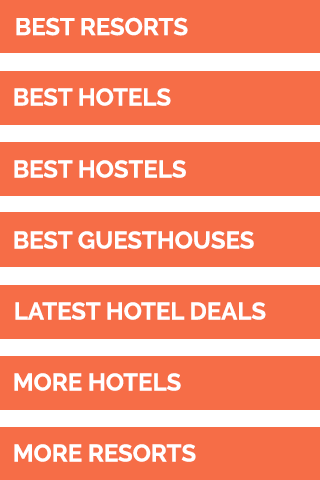 There is no entrance fee, and you may also spend the night in one of the surrounding resorts. Should you fancy sleeping under the stars, you may pitch your own tent for a weekday rate of P50 per head, and P150/head during weekends. Drawing a remarkable number of tourists is the humble Panagsama Beach. At first glance, this beach isn’t as impressive compared to others in Moalboal, but go beyond the surface, and you’ll be in for a treat. This destination is famous for the sardine run where you’ll get to witness hundreds of sardines swimming in patterns. You can easily reach the venue of this spectacle, for it’s as near as 50m from the shore. You may bring your own snorkeling gear to see it from above, or – if you’re an experienced diver – swim towards it and take part in the beautiful chaos. With an early start, you could do this as a long day trip from the city. 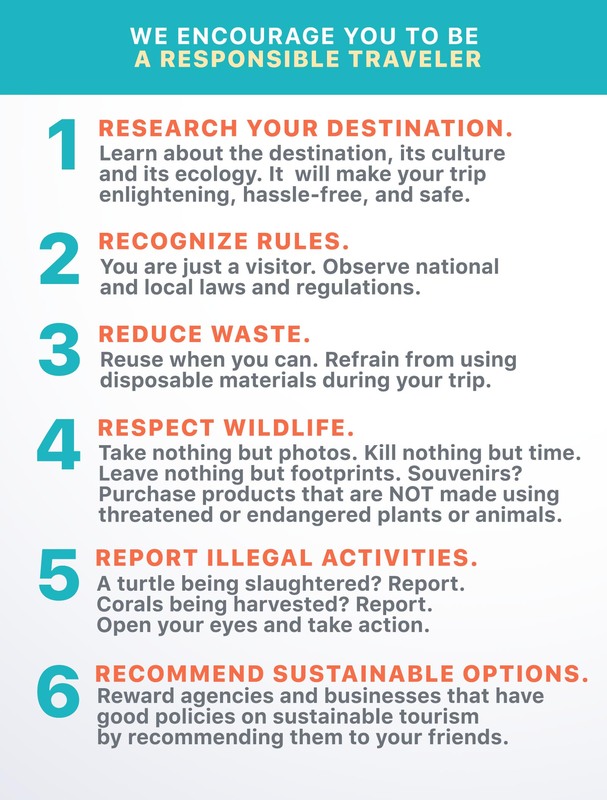 However, it’s better to spend the night to see more snorkeling spots or try scuba diving. 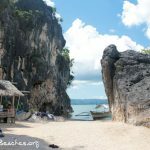 In Moalboal is a noteworthy addition to your itinerary during your stay in Cebu. Basdaku Beach has cream sands and clear, turquoise waters. The trip to get here from Cebu City takes about two and a half to three hours from the South Bus Terminal. A bus bound for Moalboal will get you to the village of Basdaku where you can hire a tricycle or habal-habal to take you to the beach. There is an entrance fee, but it’s super affordable at only P5. There are accommodations nearby if you plan to spend the night, or you can bring your own tent and pick a spot. This beach in Aloguinsan is only a couple of hours’ bus-then-habal-habal ride from Cebu City. A trip to Hidden Beach is a great option for those looking for a quick weekend escape. Start early enough and you’d get to make the most of a day trip to here. Its long stretch of ochre sand, lined with coconut trees, provide visitors with a welcome reprieve from the usual daily grind. There’s an entrance fee of P15. Tables and chairs can be rented for P150 and P300 for the cottages. Just three hours from the city, in the municipality of Badian, is Matutinao Beach. With a strip of chalky, white sands and its share of aquamarine waters, this beach is a great place for a weekend getaway. Make sure to take the earliest bus trip at 4 AM from the South Bus Terminal so you can maximize your visit. If you have your own car, the trip is a bit quicker. There is also a nearby resort if you want to stay longer. Plus, you can find organizers for canyoneering tours to Kawasan Falls. 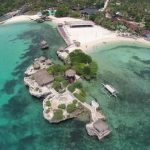 Nalusuan Island is another destination you can add to your itinerary during an island-hopping trip around Mactan. The place is a great spot for snorkeling or simply lounging on the beach. You can reach this place by heading to SM Cebu City, then taking a van or bus bound for Lapu-Lapu. If you’re coming from the Mactan Airport, take a cab or a jeepney to Maribago Port. Here, you may charter a boat for island-hopping. It costs P200 to enter Nalusuan Island, and should you wish to spend the night, there is a nearby resort. 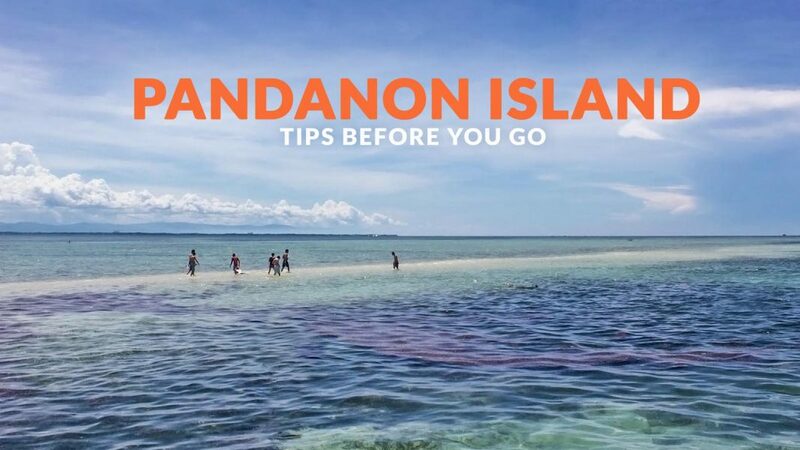 Technically, Pandanon Island is part of Bohol, but it can easily be included as a stop during an island-hopping trip from Mactan Island. This idyllic beach possesses clear, blue waters, and boasts a picturesque sandbar. In addition to this, its beauty is not just confined above water. Pandanon Island plays host to a thriving marine life, making it perfect for snorkeling and diving. An entrance fee of P150/person is collected on the island, and cottage rental starts at P250. These are some of the beaches you can visit from Cebu City for a day trip or a longer jaunt. These are just a few hours away from the metropolis and are accessible by public and private transport or a combination of both. 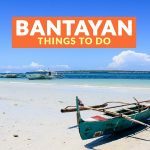 If you don’t have much time in the province and want to sneak in a quick beach getaway, these are the destinations you can add to your itinerary.